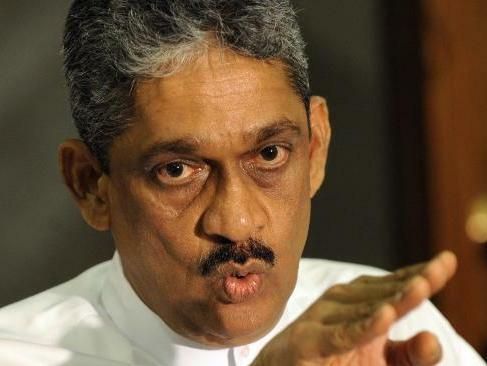 Former Army Commander and Presidential contender in the 2010 presidential election Sarath Fonseka has thanked the Canadian Government for its decision to boycott the Commonwealth Heads of Government Meeting in Colombo next month. “Canada cannot be blamed for this decision. We must be ashamed by it. Canada’s reasons for the boycott is sound and we are completely in agreement. Canada had the backbone and courage to criticise this country’s political leadership and his Government’s corrupt ways. For that courage, I personally salute them,” BBC Sinhala quoted the former General as saying during a ceremony to appoint electorate organisers of his Democratic Party. Fonseka said his party was completely opposed to CHOGM being held in Sri Lanka. He said the people of this country will get no benefit from the summit. “This Country does not adhere to Commonwealth values and principles. So we oppose this. This summit is not being held here with good intentions. It’s all about personal agendas. “Sixty percent of what is spent is being stashed as commissions. All the while the country is being destroyed and the people are being fooled,” he said. Asked what his message would be to the other member states attending the Commonwealth Summit Fonseka said it would be to ensure as they depart this country to ensure that Sri Lanka’s Government adheres to Commonwealth values and principles. “Otherwise Sri Lanka gains nothing from them coming here,” Fonseka charged. “If the country’s leader wants to be proud of what they have achieved, then he must show willingness to respect Commonwealth values, human rights, democracy and justice. Without those things, there is nothing to take pride in by just holding summits here,” he charged. FUTA Online Petition: Save Sri Lankan Schools And Universities!